Recently I wrote a summary of my five favorite Bond films over at Tellurian Things. After seeing “Skyfall” on Friday night, it appears I will be ammending that list. Bond is, most certainly, back. “Skyfall,” the 24th film to feature Bond (unless you count the 1967 spoof “Casino Royale”), is arguably the best film in the series, though purists might have a few complaints. More on that later. 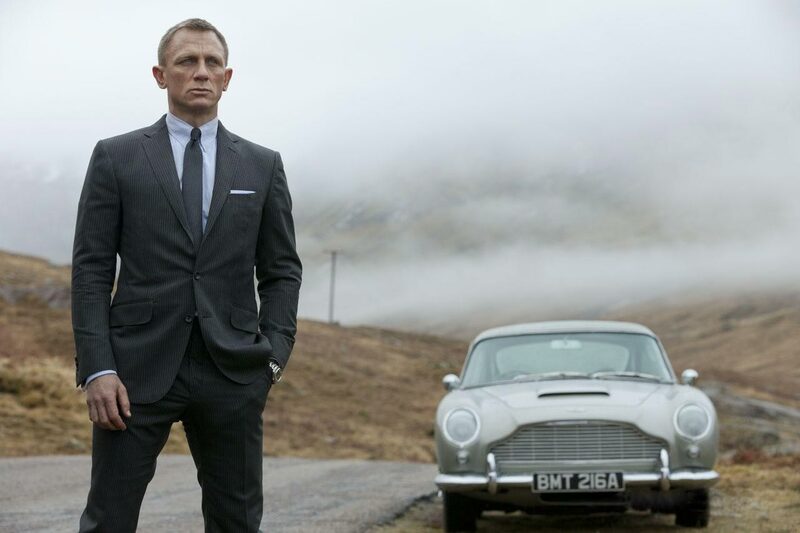 The film opens with Bond (Daniel Craig) being “killed” while chasing a man in possession of a list of undercover British agents around the globe. When M (Judi Dench) and MI6 come under attack from the dangerous Mr. Silva (Javier Bardem), Bond finds his way back to England to settle the matter. Director Sam Mendes’ (“American Beauty,” “Road to Perdition”) take on the British agent is a deeply emotional one. Between M having to face the end of her run at MI6 and Bond’s laborous road to recovery, there’s a lot for the character to develop on. There is also a look inside the life of a younger James Bond, which is pretty unexplored territory. One thing that stands out in “Skyfall” is just how well it was shot. The audience isn’t subjected to nauseating shaky footage and each shot is delivered with precision. Despite the fact the film uses the most CGI since 2002’s dreadful “Die Another Day,” nothing looks too fake or cheesy. Craig delivers yet another great performane as Bond, this time with a few less jokes (I guess being shot while wrestling a man on top of a train will do that.) Instead of the sniveling wimp from “Quantum of Solace,” Craig’s Bond gets to tackle a real villain in Bardem’s Silva. He is sophisticated, sinister and smart. All good things to have in a bad guy. Plus he presents a physical threat that Dominic Greene (Mathieu Amalric) couldn’t attempt without unintentional laughter. Silva is kind of a mix between Bardem’s character in “No Country For Old Men” and the Joker. He plans very far in advance and doesn’t feel an ounce of remorse for killing innocent people. Oh, and Bardem is at his Bardem-iest here with evil, creepy vibes. Earlier I wrote that Bond purists would have a few complaints about the film. By that I mean this isn’t a Sean Connery film. While the charm and quips are there, they are dialed back quite a bit in this more serious outing. At times it doesn’t really feel like a Bond film, but rather a great action/adventure film of no relation. As long as this is just the case for one film, no one should really care. There have been several Bond films that were a little different from the rest, just for the sake of their story’s tone. If they get a pass, so should “Skyfall.” We’ll see later down the road if anyone is trying to completely alter the character. There are also a few references and direct links to the previous films that should keep everyone who’s done their homework happy. Although the jury may still be out on whether or not “Skyfall” is the best Bond film, I can easily say it is in my new Top 5.